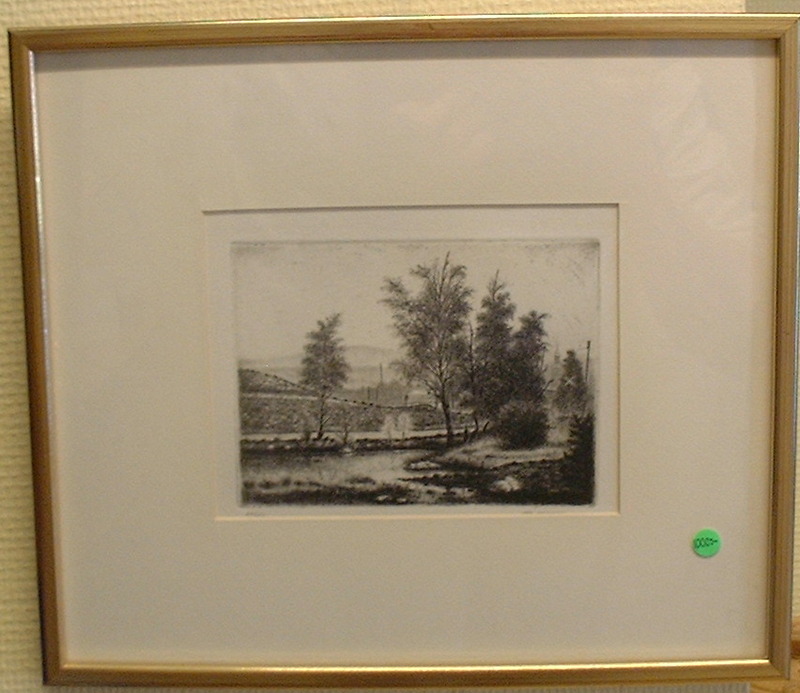 Etching signed Ivar Andersson nr. 27/50, seize: 4,5 x 6,1 inch. (12,8 x 11,2 inch. including frame) Ivar Andersson (1909- year of death is unknown) Ivar Anderssons full name is Ivar Eugen Andersson and he was a drawing artist, etcher (in black and white colours) and a painter. Educations: Studies at school of etching and engraving and he also took a correspondence course in drawing.